We treat many cases of TMJ syndrome throughout Connecticut (CT). We call ourselves the TMJ Headache Treatment Center because Dr. Tagliarini uses the power of rejuvenation dentistry to cure TMJ once and for all. ​Your painful headaches, neck pain, and jaw pain can all be permanently relieved. The magic all happens with Dr. Tagliarini and Quality Dental of Danbury. Do you suffer from pain caused by TMJ? Our dentistry treats patients from across CT who are suffering from jaw pain caused by TMJ. Many patients in the CT and the NY area, as well as those in surrounding states, seek out Dr. Tagliarini for his TMJ treatment. ​Often, TMJ can be disguised as jaw pain, headaches, migraines, or pain in the teeth, which makes it difficult to diagnose. But Dr. Tagliarini is well known for correctly diagnosing and treating TMJ. He is Connecticut's TMJ specialist and has achieved amazing results with his patients. If you are suffering from TMJ, be aware that it is a degenerative disease that will only get worse with time unless treated. When you are ready for a TMJ evaluation, call our office at (203)-779-6064. TMJ is short for the temporomandibular joints, which are the hinges on the sides of your face that connect the lower jaw (mandible) to your skull. Each temporomandibular joint has two movement sections that control the gliding and hinging actions that open and close your mouth. The last of these listed problems, tissue damage, then creates an even larger problem. 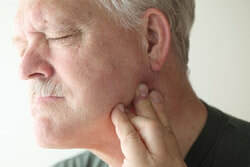 Prolonged tissue damage can result in arthritis, and eventually, the muscles in your face will become so tight that your bite will feel off. While a jaw appliance can help slow the degenerative process, it will not resolve your TMJ symptoms or pain. ​Our TMJ treatment center in CT is different because we focus on the underlying cause of your TMJ pain. There are many causes of TMJ, but with the proper evalutation we can identify the cause of your TMJ / TMD Disorder. After identifying the causes of your TMJ we will then reccomend action steps to treat your TMJ & TMD. Please be advised: The American Dental Association (ADA) does not recognize the treatment of TMJ as a specialty. Claiming to be a "TMJ Specialist" cannot, therefore, be claimed. However, one can train to deal with the TMJ syndrome and other bite disorders. As a result, it is important to check the experience and credentials of each provider. Dr. Tagliarini, the owner of Quality Dental of Danbury, is always practicing cutting edge dentistry. Whereas most dentists believe that TMJ pain can only be reduced, Dr. Tagliarini can actually reverse the TMJ disease. His comprehensive understanding of this disease was developed during his two year residency in which he focused on rejuvenation dentistry. As a result, he is often regarded as CT's TMJ specialist. 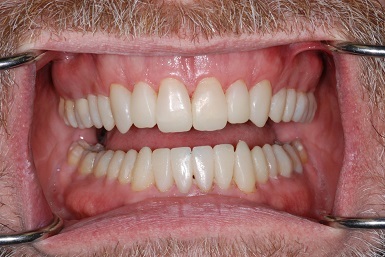 Furthermore, it is also noteworthy that Dr. Tagliarini is the only practitioner of rejuvenation dentistry in Connecticut and one of only 13 throughout the US. 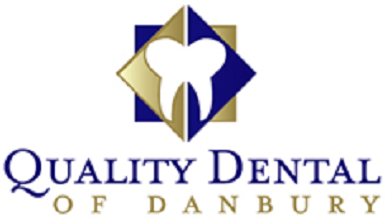 Quality Dental of Danbury has been referred to as the "TMJ Headache Treatment Center" by many thankful patients. ​We created this website to showcase Dr. Tagliarini's expertise in TMJ/TMD and to set ourselves apart from the rest of dental practitioners in the area. Claiming to be able to cure TMJ is a serious statement, but Dr. Tagliarini backs up this assertion with results. With his methods, you will never again have to buy expensive dental appliances and mouth guards to deal with the pain associated with TMJ. Rejuvenation dentistry is a new biology-based treatment. Through long hours of studying and observing the human chewing system, in addition to years of scientific research, a cure to TMJ has finally been developed: rejuvenation dentistry will end your TMJ pain once and for all. Out of all CT dentists, why choose us for your TMJ treatment? 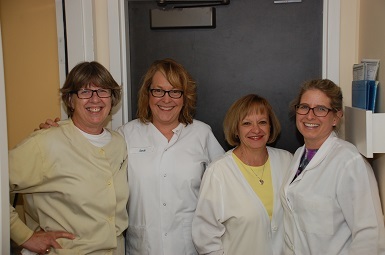 Completed over 1300 hours of advanced training in root canals, dentures, implants, white fillings, and smile design. Dr. Tagliarini is a firm believer that the more informed a patient is, the more prepared they are to make the right decisions regarding their dental health and well being. As a result, this website is intended to educate you about TMJ/TMD. On this website you will find descriptions on TMJ's different symptoms, such as jaw pain, severe headaches, face pain, popping and clicking of the jaw, as well as others. Do you suffer from jaw pain? Does your jaw pain interfere with daily activities, such as talking or eating? 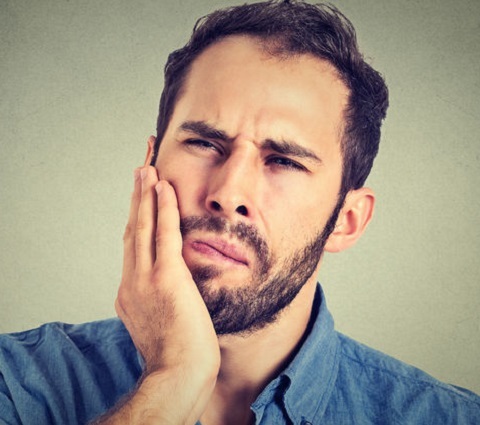 If you answered yes to either of the previous questions, then you might be suffering from a bite disorder called TMJ. Since TMJ is a degenerative disease that only gets worse with time, it is important to get evaluated as soon as possible. ​Severe headaches can be manifest from various factors -- from something as simple as stress to more severe causes such as neck and head injuries. But if you do not know what is causing your headaches, it is important to be evaluated for TMJ. Our CT TMJ specialist, Dr. Tagliarini, will do a comprehensive evaluation to test if your headaches are related to TMJ. Face pain often occurs around the jaw bones and can result in stiffness in the jaw upon waking. Frequently, people who experience a lot of jaw pain unknowingly grind their teeth at night. Continuously grinding your teeth prevents your jaw muscles from relaxing and also wears down your tooth enamel. If you experience regular face pain, please consult a TMJ Specialist. TMJ can also cause difficulty with chewing and biting. Obviously, struggling with these tasks can disrupt your everyday life -- but our TMJ Treatment center can change this. ​Most dentists and doctors treat bite disorders with mouth appliances. In contrast, Dr. Tagliarini is a TMJ "specialist" and will cure your TMJ instead of just reducing the pain and discomfort it causes. Do you have painful migraines upon waking? If you do, then you should definitely get evaluated for TMJ. Painful migraines are a symptom of a TMJ disorder. 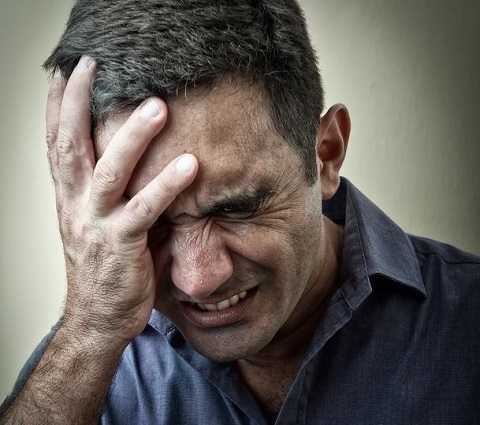 If you suffer from migraines, then you know quick fixes, such as pain relievers, will only cover up the pain. But these headaches and migraines can be treated through TMJ therapy. We have treated many people who have suffered from headaches and migraines with our rejuvenation dentistry. I would definitely reccomend Dr. Tagliarini. 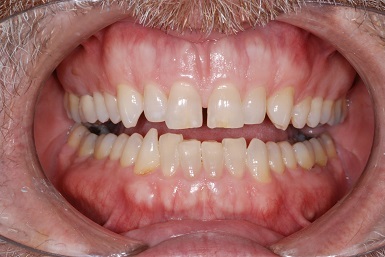 It was very difficult to find a new dentist after my last dentist, who I worked with for 17 years, retired. I thought I'd never find any good dentists in Danbury, CT. I visited about three different offices throughout Fairfield County. When I stopped into Dr. Tagliarini's office, I felt instantly at home. I felt comfortable sitting there and talking about my story with Leona, their receptionist. After a quick evaluation, Dr. Tagliarini let me know I had a TMJ problem. But with his help, solving that problem changed everything. I never thought that I would look forward to a visit to my dentist. I have a lifetime of dental problems and dealing with bad dentists. The staff at Quality Dental of Danbury had me on the right track to finally achieving a healthy smile. Most dentists have sneaky little hidden fees, and you have to spend 35 minutes reading their fine print. Quality Dental went through EVERYTHING, from options, short term, long term, payment plans, and exactly what would cost what. I was pleasantly surprised with the quality I experienced, and have been doing back since. We offer treatment for TMJ/TMD to many different areas in Connecticut. In addition to serving our Danbury clients, we also treat patients from neighboring towns, such as Brewster (NY), New Fairfield, New Milford, Waterbury, Stamford, Fairfield, and Norwalk. The reason we have patients from all over Connecticut is because people suffering from TMJ pain will make a long drive to receive a TMJ treatment that actually works. What parts of the state do you service? Our headache treatment center is located in Danbury, Connecticut. However, we get many new patients from cities around the state due to the high level of TMJ care we administer to our patients. We regularly receive new injuries about our headache & TMJ programs from cities including Greenwich, Norwalk, Westport, Glastonbury, West Hartford and New Haven, CT.
Are you the only TMJ Specialist in Hartford, Connecticut? Although most local residents refer to us as TMJ Specialists by nature we don't go by that terminology. The American Dental Association reserves the title specialist for a certain type of dentistry. We are certainly the local TMJ experts in Fairfield, CT as well as the Hartford area. In fact, we have many patients throughout the entire state and even parts of New York State including Brewster, Patterson, Pawling and Somers.